Jones has spoken at The White House, The United Nations, Harvard, Stanford, ESPN, NIKE, Pepsi, Google, DELL, The NFL, and The Girl Scouts — most recently winning The Jefferson Award, our country’s highest national honor for public service. 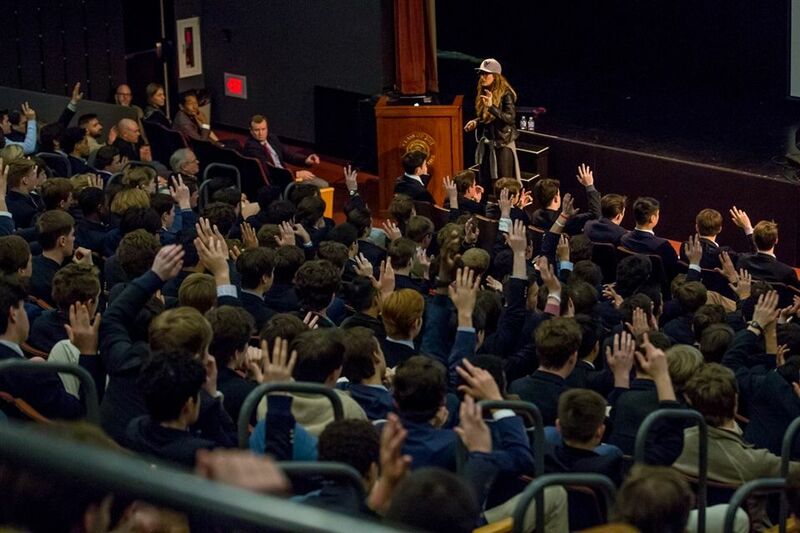 Jones first visited Brunswick in April 2016 to speak to students about her educational program, ProtectHer: Redefining #Manhood — a platform addressing the ever-growing issue of domestic abuse and sexual assault on high-school and college campuses in the United States. 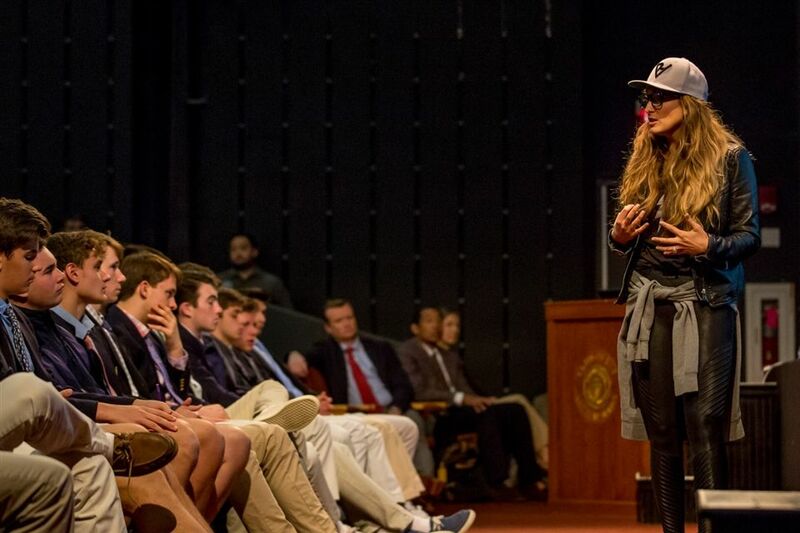 She returned to discuss her newest initiative, Be a Good Human, a solution-based response to the pandemic and rising levels of sexual assault across the country. Instead of villainizing men, Jones invites, includes, and inspires both men and women to be an integral and tangible part of the solution moving forward. 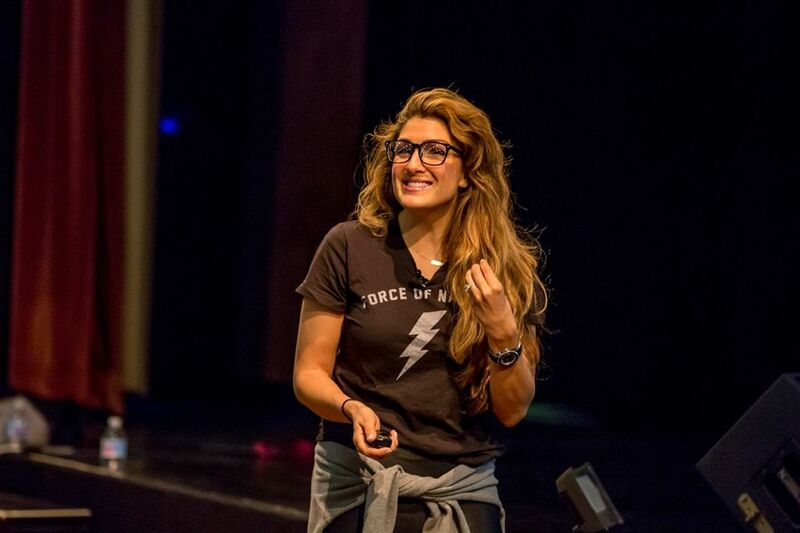 Jones encouraged her audience to stand up and make a difference — to do something about the rage of complex and systemic issues in the world. “You are somebody and you are the person we’ve been waiting for,” Jones said. “If you don’t stand for anything in life — if you don’t have a conviction that is greater than yourself — not only will you fall for anything, but you’ll just be an unoriginal carbon copy of someone else.